This piece was submitted by Robert Jay Lifton as part of the 2015 PEN World Voices Online Anthology. It was originally published in spring 1995 in the journal Holocaust and Genocide Studies. This article examines Turkish efforts to deny the Armenian genocide of 1915–17. Specifically, it exposes an arrangement by which the government of Turkey has channeled funds into a supposedly objective research institute in the United States, which in turn paid the salary of a historian who served that government in its campaign to discredit scholarship on the Armenian genocide. After a short review of the Armenian genocide and a range of Turkish denial efforts, three documents are reproduced in full. They include a letter that Robert Jay Lifton received from the Turkish Ambassador to the United States, and two documents that were inadvertently included with the Lifton letter—a memorandum to the Turkish Ambassador and a draft letter to Lifton for the Ambassador’s signature. After a critical analysis of each document, we discuss the harmfulness of genocide denial and explore why intellectuals might engage in the denial of known genocides. The article concludes with reflections on the relationship between scholars and truth. It has been said that gentlemen do not read other gentlemen’s mail. But suppose that one receives a letter from the Turkish ambassador to the United States rebuking one’s scholarship because one has written about what the ambassador refers to as “the so-called ‘Armenian genocide,’ allegedly perpetrated by the Ottoman Turks during the First World War.” And suppose that, inadvertently, the envelope also contains an internal memorandum written by the executive director of what claims to be a non­political, scholarly institute and that memorandum reveals much about the mentality of those who engage in denial of the Armenian genocide. What then? The attempt to confuse and intimidate academics by such letters is an ongoing process. The letter that we shall present is from the current ambassador, but two of us have received such letters from his predecessor. The difference is that only in the letter to Robert Jay Lifton is there created an opportunity to see what takes place behind the scenes, what assumptions guide the work of scholars who engage in denial, and what the implications are in terms of professional ethics. Our concern is not with the person who wrote the memorandum and drafted the letter, but with the role such scholars perform in the subversion of scholarship and with their assumptions which substitute a narrative of power for the search for truth. In such narratives, as Terrence Des Pres has noted, “knowledge” is what serves the interest of the powerful (particularly the state), the goal of knowledge is seen as control rather than freedom, and “truth” is whatever officials (and their adjuncts) say it is. The evidence of intent is backed also by the outcome of the actions against the Armenians: it is inconceivable that over a million persons could have died due to even a badly flawed effort at resettlement. Moreover, the pattern of destruction was repeated over and over in different parts of Turkey, many of them far from any war zone; such repetition could only have come from a central design. Further, the reward structure was geared toward destruction of the Christian minority: provincial governors and officials who refused to carry out orders to annihilate the Armenians were summarily replaced. More than one million Armenians perished as the result of execution, starvation, disease, the harsh environment, and physical abuse. A people who lived in eastern Turkey for nearly 3,000 years lost its homeland and was profoundly decimated in the first large scale genocide of the twentieth century. At the beginning of 1915 there were some two million Armenians within Turkey; today there are fewer than 60,000. The basic argument of denial has remained the same—it never happened, Turkey is not responsible, the term “genocide” does not apply. The tactics of denial, however, have shifted over the years. In the period immediately after World War I the tactic was to find scapegoats to blame for what was said to be only a security measure that had gone awry due to unscrupulous officials, Kurds, and common criminals. This was followed by an attempt to avoid the whole issue, with silence, diplomatic efforts, and political pressure used where possible. In the 1930s, for example, Turkey pressured the U.S. State Department into preventing MGM Studios from producing a film based on Franz Werfel’s The Forty Days of Musa Dagh, a book that depicted aspects of the genocide in a district located west of Antioch on the Mediterranean Sea, far from the Russian front. In the 1960s, prompted by the worldwide commemoration of the fiftieth anniversary of the genocide, efforts were made to influence journalists, teachers, and public officials by telling “the other side of the story.” Foreign scholars were encouraged to revise the record of genocide, presenting an account largely blaming the Armenians or, in another version, wartime conditions which claimed the lives of more Turks than Armenians. Thereafter, Turkey tried to prohibit any mention of the genocide in a United Nations report and was successful in its pressure on the Reagan and Bush administrations in defeating Congressional resolutions that would have designated April 24 as a national day of remembrance of the Armenian genocide. The Turkish government has also attempted to exclude any mention of the genocide from American textbooks. Stronger efforts still have been made to prevent any discussion of the 1915 genocide being formally included in the social studies curriculum as part of Holocaust and genocide studies. There have also been attempts by the Turkish government to disrupt academic conferences and public discussions of the genocide. A notable example was the attempt by Turkish officials to force cancellation of a conference in Tel Aviv in 1982 if the Armenian genocide were to be discussed, demands backed up with threats to the safety of Jews in Turkey. The U.S. Holocaust Memorial Council reported similar threats over plans to include references to the Armenian genocide within the interpretive framework of the Holocaust Memorial Museum in Washington. At the same time, Turkey has sought to make an absolute distinction between the Holocaust and the Armenian genocide, defining the latter as “alleged” or “so-called.” The documents we have, however, show that, in private, such labeling drops off (a point to which we shall return and discuss in detail). Finally, in the 1980s the Turkish government supported the establishment of “institutes,” whose apparent purpose was to further research on Turkish history and culture. At least one also was used to further denial of Turkish genocide and otherwise improve Turkey’s image in the West. To our knowledge, the memorandum and letters that we reproduce in full provide the first direct evidence of the close relationship between the Turkish government and one such institute. Before turning to that evidence, we shall provide background information on the origin, funding, stated purposes, and tax status of the institute from which that evidence comes. The Institute of Turkish Studies, Inc., located in Washington, DC, was established in 1982 with a grant of three million dollars from the Republic of Turkey. Information about its current finances is not readily available, but in 1989 it had expenditures of $264,593, of which $121,062 was for grants. That year it received gifts of nearly $240,000. The sources of the gifts are unknown to us, but in the past much of its financial support has come from American corporations that sell military equipment to the Turkish government. In 1992 the Institute began a fund-raising campaign to double its endowment to six million dollars, with funds to be raised from businesses in America and Turkey. The organization itself has a staff of two: an executive director and a secretary. There is also a board of directors, which includes several academics among its members. To provide funding for research centers and scholars interested in Turkish studies, to encourage development of Turkish studies in university curricula. Bestows awards. Maintains 5,000 volume library on the Ottoman Empire, Turkey, and Turkish history. Grants for the academic community of U.S. specialists in the field of Turkish studies; support includes awards to individual scholars and to institutions. Its own brochure published within the first years of the founding of the Institute, however, throws a somewhat different light on its stated purpose. The Institute states that it has received grants from major defense contractors, such as General Dynamics and Westinghouse, and with this support the Institute “shall continue to play a key role in furthering knowledge and understanding of a key NATO ally of the United States, the Republic of Turkey, among citizens of our country.” Unfortunately, the phrase “furthering knowledge and understanding” includes measures that have been construed as denial of the Armenian genocide. Charitable organization, educational organization, literary organization; organization to prevent cruelty to children; organization for public safety testing; religious organization; or scientific organization. Given its tax filing status, the Institute for Turkish Studies is exempt from taxation. Contributions to the Institute are tax deductible. The executive director of the Institute from its inception to 1994 was Dr. Heath W. Lowry, who received his doctorate in history from UCLA. His mentor at UCLA was Professor Stanford Shaw, whose history of Turkey strenuously denies the reality of the Armenian genocide, while, at the same time, blaming the victims, who are depicted as disloyal, rebellious, and terroristic. It is Lowry who wrote the memorandum and drafted the letter for the ambassador that are now made public for the first time. Let us now consider what Lowry’s memorandum reveals about the mentality and tactics of denial, then turn to the letter, commenting on its style and content. The memorandum indicates that Lowry has been engaged in an ongoing relationship with the Turkish government, and that he has regularly offered advice on denial both to the Turkish ambassador to the United States and to other persons in Turkey (IADA-Ankara). The memorandum also provides evidence of the desire to check scholars from referring to an Armenian genocide. Indeed, the process by now may even be almost bureaucratic. It is easy to surmise that someone at the embassy identifies books and articles that mention the genocide (is denial part of his or her official duties? ), the list is turned over to Lowry at the request of the ambassador, and Lowry examines the works in question, provides a report in the form of a memorandum, and then prepares a letter[†] for the ambassador’s signature. Lowry reads Lifton’s book, not out of interest or to be informed: he does it as a service to the Turkish government, “with an eye to drafting a letter for your [the ambassador’s] signature to the author.” Why a scholar would conceive of his or her craft in this fashion is not a question that admits of easy answers. But as we shall suggest in another section of the article, it is not uncommon. What is clear from the memorandum, though, is that Lowry identifies with the power of the Turkish government. He twice refers to “our problem,” that is, the availability of works that discuss the Armenian genocide, suggesting that he sees himself as part of a power constellation engaged but in furthering the perceived interests of the government of Turkey. Lowry is critical, in fact, of the ineptitude of the deniers who thereby fail to serve what he assumes are Turkey’s interests. He has repeatedly told, verbally and in writing, those in power that they must attack and discredit articles or books by Dadrian, Fein, Kuper, and others, yet not a single attack has been written. He underlines the date of Lifton’s book—1986—and suggests implicitly that four years is simply too long: material must be subjected to damage control at the earliest possible moment. And one does wonder why it took so long in this case, since Markusen and Smith received letters along the lines addressed to Lifton within months of the appearance of their essays in Genocide and the Modern Age. Lowry’s own work contains many questionable assertions and conclusions. He denies that Hitler ever uttered the widely quoted remark: “Who, after all, speaks today of the annihilation of the Armenians?” And in his recent book, The Story Behind Ambassador Morgenthau’s Story, he asserts that Morgenthau’s account of the genocide is nothing but “crude half-truths and outright falsehoods … from cover to cover.” His conclusions do not in fact follow from his analysis or the evidence he can marshal. Quite astonishing, however, is his claim that what Talaat, a principal architect of the Armenian genocide, had in mind for the Armenians was not destruction, but “segregation,” that the fate of the Armenians was to be that of African-Americans in the South in 1915. Various perspectives on denial can be brought to bear on the content of the letter. Smith notes that typically the denial of genocide involves denial that the events took place, that the perpetrator bears any responsibility for the destruction, or that the term “genocide” is applicable to what occurred. Deborah Lipstadt, in her work on the Holocaust, speaks of the “Yes, but” mode of denial: applied to the present case, Yes, Armenians died, but so did Turks. Yes, Armenians were killed, but they brought it upon themselves. Yes, the conflict took place, but it was a civil war within a global war. Likewise, Israel Charny has pointed to a “template of denial,” the rules of which include: do not acknowledge that the genocide took place; transform it into other kinds of events; portray the victims as the perpetrators; insist more victims were from the perpetrator’s group; and relativize the genocide in whatever way possible. The letter is too limited in purpose to display all of the elements depicted in these overlap­ping perspectives, but they are found in the larger literature of denial of the 1915 genocide. In terms of the letter itself, however, we want to call attention to two aspects of denial that are part and parcel of Turkey’s denial tactics. The goal of each is to prevent recognition of the fact that what the Ottoman government did to the Armenians in 1915 constitutes genocide. A second theme, unique to the Turkish case, is the determination to deny the Armenian genocide by acknowledging the Holocaust. This involves in part special efforts by Turkey to recognize the tragedy of the Holocaust and show compassion for its victims. But Turkey has also gone to extraordinary lengths, including threats and disruption of academic conferences, to prevent Jews from learning about the Armenian genocide. Moreover, one notes that Lowry’s memorandum stresses that Lifton relied upon the work of other scholars, but this, he argues, is precisely why it is necessary to discredit at the outset authors such as Dadrian, Fein, and Kuper. The danger Lowry sees is that “from now on we will see all works on the genocide of the Jews” containing references to the Armenian genocide. Such references would allow for comparison and the conclusion that, for different reasons, both Jews and Armenians have been victims of genocide. There is another aspect to this, however, that can best be addressed in terms of the letter—the attempt of the Turkish government and its intellectuals to draw a sharp and decisive distinction between the Holocaust and the experience of the Armenians in 1915. To confront denial is to face a recurrent question: do those who engage in denial of a well-documented genocide actually believe their own words, or do they know better, but disregard the facts for personal or political reasons? The issue is complicated in that denial is, at times, a deliberate distortion of the facts to serve some presumed advantage. But denial may also be a “defense mechanism” that functions to reduce stress and inner conflict. As a defense mechanism, the events and feelings that one wants to deny are not completely removed from consciousness, but are rather placed in a more favorable light through a kind of selective emphasis and reappraisal. While this distorts the truth, the person who uses such a strategy may not be aware that he or she is doing so to make the situation less threatening. Nevertheless, denial as distortion of truth and as self-serving rationalization are often intertwined and reinforce each other. In the case of Lowry and the ambassador, there is a sense in which their whole enterprise involves a retelling of the Armenian genocide to place Turks in a favorable light and Armenians in a bad light: in such accounts the victim is invariably blamed for the genocide; indeed, is cast in the role of perpetrator. But for all the reinterpretation and selective uses of history, there is a clue that the ambassador and Lowry know that the Armenian genocide took place, which would make their public statements to the contrary appear to be calculated distortions of the truth. To return to the documents at hand. The letter Lifton received and the draft of it by Lowry are explicit in denying the genocide, and speak of the “so-called ‘Armenian genocide,’ allegedly perpetrated by the Ottoman Turks during the First World War.” However, when we examine the memorandum, a different story appears, with a decided gap between the public discourse of the letter and the private discourse of the memorandum. On the first page of the memorandum, the executive director of the Institute of Turkish Studies approaches the subject, and the ambassador, delicately, referring to the “so-called ‘Armenian Genocide.’” Yet a few pages later, when he gives his “summation,” Lowry speaks openly without using such terms as “alleged” or “so-called”: he now writes, without quotation marks, about “the Armenian Geno­cide” and “the genocide.” It is hard to believe that he would present such language to the ambassador unless he knew that the ambassador would not be offended. We should not be surprised by instances of what many would consider to be inappropriate use of academic credentials and skills, since, after all, academics and professionals have contributed in direct ways to genocidal killing projects, including the Armenian genocide and the Holocaust. They have done so by lending their talents and prestige to racist, victimizing ideologies that are central features of many genocides, by helping to create and administer the policies and technologies of mass killing and by actually engaging in the killing. If highly educated academics and professionals have been able to repudiate their ethical codes and serve as accomplices and perpetrators of actual genocides, it is likely that they would be even more able to engage in an activity in which no one is killed. It would be a mistake, however, to underestimate the serious harm caused by denial of genocide, particularly denial wrapped in the guise of legitimate scholarship. In this section, we examine the harm done by pseudo-scholarly denial of known genocides and consider the assertion, put forth by some scholars, that deliberate denial is a form of aggression that ought to be regarded as a contribution to genocidal violence in its own right. Then we briefly address the question of what might motivate academics to make a career out of denial of genocide. A number of scholars have argued, in fact, that the deliberate denial of a known genocide is a harmful act that deserves to be included in the same moral domain with indirect and direct contributions to the actual genocides. Thus, Charny states that “Denials of genocide make no sense unless one sees in them renewed opportunities for the same passions, meanings, and pleasures that were at work in the genocide itself, now revived in symbolic processes of murdering the dignity of the survivors, rationality, dignity, and even history itself” (emphasis in original). Indeed, denial may be thought of as the last stage of genocide, one that continues into the present. A kind of double killing takes place: first the physical deed, followed by the destruction of remembrance of the deed. We concur with Charny, Kulka, and Vidal-Naquet in regarding denial of genocide as an egregious offense that warrants being regarded as a form of contribution to genocidal violence. Denial contributes to genocide in at least two ways. First of all, genocide does not end with its last human victim; denial continues the process. But if such denial points to the past and the present, it also has implications for the future. For by absolving the perpetrators of past genocides from responsibility for their actions and by obscuring the reality of genocide as a widely practiced form of state policy in the modern world, denial may increase the risk of future outbreaks of genocidal killing. Why Might Intellectuals Engage in the Denial of Known Genocides? There are several possible motivations for denial of genocide, and these can be complex. The motivations to which we would call attention include: self-serving ideology, bigotry, intellectual confusion, careerism, identification with power, and a particular conception of knowledge. It seems unlikely, however, that denial rests only on one of these motivations; moreover, the particular combinations of motivations may vary with individuals. Also, what prompts denial may vary with different examples of genocide: anti-Zionism, for example, may help explain denial of the Holocaust, but in terms of its content tells us nothing about why the Armenian genocide has been denied. On the other hand, if we focus not on the content of the motivation, but on its form (ideology) and goals (political and psychological purposes), then the motivations for denial in these two cases may have more in common than appear at first glance. These answers are no doubt correct, but they are incomplete. It may be that all revisionists are anti-Zionists, but there are surely anti-Zionists (some of them Jewish) who do not deny the reality of the Holocaust. Similarly, there are people who are highly antisemitic, but are well aware that the Holocaust took place. Clues to the thinking of academics who question the reality of the Armenian genocide have been provided by Israel Charny and his colleague Daphna Fromer, who sent questionnaires to sixty-nine scholars who signed an advertisement which, in the words of Charny and Fromer, “questioned insidiously the evidence of the Armenian genocide” and appeared in several newspapers, including the New York Times and the Washington Post. In analyzing the comments of the seventeen scholars who provided “active responses” to their mailing, Charny and Fromer discerned a number of “thinking defense-mechanisms” that enabled the scholars to engage in “the denial of genocide.” These mechanisms included what the authors term “scientificism in the service of denial,” i.e., the claim that not enough empirical evidence is available to justify an unequivocal position on the reality of the genocide; and “definitionalism,” i.e., acknowledging deaths, but denying that they were the result of “genocide,” thus shifting responsibility for the genocide away from the Turkish government and trivializing the killing of over a million Armenians as the inadvertent result of famine, war, and disease. Whether anyone is led into denial by such reasoning is an open question, but such thinking does serve to make denial easier thereafter, while, at the same time, it preserves the appearance of objectivity. “Careerism” is a complicated phenomenon, but for our purposes we would identify two (non-exclusive) forms that it may take: one that is oriented more toward material goals, and one that involves more the satisfactions that go with power. Both share the “thoughtlessness” that Hannah Arendt saw as the essence of the “banality of evil”: an imaginative blindness that prevents one from reflecting upon the consequences of one’s actions. But elsewhere Arendt also speaks of a “willed evil,” and the second type of careerism is not far removed from this: not simply the obliviousness to hurt, but the infliction of hurt. Intellectuals who engage in the denial of genocide may be motivated in part by either type of careerism, or by both. The more insidious form, however, is the second type of careerism. Here material rewards are important, but more so, the opportunity for certain psychological and social satisfactions: a sense of importance, of status, of being in control, all of which can come through identification with power, something we believe we have shown in the memorandum we have analyzed. The price for intellect in the service of denial, however, is a particular conception of knowledge, one in which knowledge not only serves the ends of those in power, but is defined by power. But to define truth in terms of power is to reveal the bankruptcy, irrationality, and above all, danger, of the whole enterprise of denial of genocide. Inherent in such a view of knowledge is both a deep-seated nihilism and an urge to tyranny. Scholarship is, or should be, a quest for truth. What scholars write and say in that quest matters a great deal. Directly or indirectly, our words contribute to a shared consciousness—to the constellation of beliefs that a society forms in connection with issues of any kind. Scholars’ contributions to that shared consciousness become especially important in relation to a society’s struggles with large, disturbing, and threaten­ing historical events. Nowhere is scholarly research and commentary more significant than in connection with genocide. Here the scope of mass murder and the depth of its moral violation defy understanding and arouse every kind of confusion, whether in the form of diffuse passions or resistance to painful evidence. Careful scholarly evaluation can hardly eliminate these confusions, but it can diminish them in favor of reasoned interpretation and the channeling of passion into constructive policy. Generally speaking, the extremity of human harm brought about by genocide raises the stakes of scholarly commentary. Where scholars deny genocide, in the face of decisive evidence that it has occurred, they contribute to a false consciousness that can have the most dire reverberations. Their message, in effect, is: murderers did not really murder; victims were not really killed; mass murder requires no confrontation, no reflection, but should be ignored, glossed over. In this way scholars lend their considerable authority to the acceptance of this ultimate human crime. More than that, they encourage—indeed invite—a repetition of that crime from virtually any source in the immediate or distant future. By closing their minds to truth, that is, such scholars contribute to the deadly psychohistorical dynamic in which unopposed genocide begets new genocides. Those of us who wish to be true to our scholarly calling have a clear obligation here. We must first expose this form of denial. At the same time we must ourselves bear witness to historical truths—to the full narrative of mass murder and human suffering. To be witnessing professionals in this way requires that we take in grim details so that we can tell the story with accuracy and insight. It is a task to which we must bring both heart and mind, an approach that combines advocacy and detachment. We require sufficient detachment to maintain rigorous intellectual standards in evaluating evidence and drawing conclusions. At the same time our moral advocacy should require us to open ourselves to suffering as a way of taking a stand against cruelty and killing, whatever its source. Note: Lifton does not provide any source for this statement following this passage. Footnote 19: Vahakn N. Dadrian, “The Role of Turkish Physicians in the World War I Genocide of Ottoman Armenians,” Holocaust and Genocide Studies I (1985, forthcoming); Dadrian, “The Common Features of the Armenian and Jewish Cases of Genocide: A Comparative Victimological Perspective,” in Israel Drapkin and Emilio Viano, Victimology: A New Focus, Vol. IV (Lexington, Mass: D.C. Heath, 1974), pp. 99-120. See also, Helen Fein, Accounting for Genocide: Victims and Survivors of the Holocaust (New York: Free Press, 1979), pp. 10-18. Note: The sole source for Lifton’s comments is the Armenian author: Vahakn N. Dadrian. Footnote 34: See Dadrian, “Turkish Physicians” and “Common Features” (19). Note: Again, Lifton’s sole source for his views on the Turco-Armenian question are the two articles Dadrian cited in Footnote 19. Footnote 43: Dadrian, “Turkish Physicians” (19). Note: Once again, Lifton’s sole source is Dadrian. Footnote 108: A Young Turk activist, quoted in Kuper, Genocide, p. 40. Leo Kuper, Genocide: Its Political Use in the Twentieth Century (New Haven: Yale University Press, 1981), pp. 19–23, 210–214. Note: Again, Lifton is simply citing an already published (and very well known) book by a Jewish expert on the Holocaust. Note: There is no footnote appended to this statement, but it clearly is taken from the Dadrian articles as well. In summation, what we are faced with here are seven references (comprising about one full page of text) in a book of 561 pages. They are based almost exclusively on the articles by Dadrian (each of which have been the subject of detailed memos by this writer in past years), together with references to the work of Helen Fein (whose book includes a full chapter on the Armenian Genocide) and Leo Kuper (whose book contains a very long chapter on the genocide). Stated differently, Lifton, in his book published four years ago in 1986, is simply using the existing literature on the Holocaust and genocide. Consequently, our basic problem is with authors such as Dadrian, Fein and Kuper, each of whom are now serving as sources for authors such as Lifton. These facts make it rather difficult to register our unhappiness with Lifton per se, as he will quite justifiably respond by giving references to his sources, i.e., Dadrian, Fein and Kuper. Our problem is less with Lifton than it is with the works upon which he relies. Lifton is simply the end of the chain, that is, from now on we will see all works on the genocide of the Jews, including references such as those made by Lifton on the basis of the works of Dadrian, Fein, Kuper, Hovannisian, et. al. Though this point has been repeatedly stressed both in writing and verbally to IADA-Ankara, we have not yet seen as much as a single article by any scholar responding to Dadrian (or any of the others as well). I strongly recommend that it be pointed out to Ankara that Lifton’s book is simply the end result of the Turkish failure to respond in a prompt fashion to the Dadrian articles and the Fein and Kuper books. On the chance that you still wish to respond in writing to Lifton, I have drafted the following letter, which, due to the absence of an address for Lifton, will have to be sent to him care of his publisher. Memorandum from Dr. Heath Lowry, Executive Director of the Institute of Turkish Studies, Inc., to Nuzhet Kandemir, Turkish Ambassador to the United States, September 26, 1990. Your 1986 publication entitled: The Nazi Doctors, Medical Killing and the Psychology of Genocide was recently brought to my attention. Needless to say, I was shocked by references in your work (pp. xii., 466–7, 470, 473, 476, 488, & 493) to the so-called ”Armenian Genocide,” allegedly perpetrated by the Ottoman Turks during the First World War. I was even more disturbed when your citations revealed that your sources consisted of articles and books by three individuals (Vahakn N. Dadrian, Helen Fein and Leo Kuper), none of whom are historians of the period in question and none of whom rely on primary research in their own works. In short, you have simply passed along questionable secondary sources as evidence for a number of contentions which are, to say the least, hotly debated among contemporary scholars writing on the period and events in question. It is particularly disturbing to see a major scholar on the Holocaust, a tragedy whose enormity and barbarity must never be forgotten, so careless in his references to a field outside his own area of expertise. For Turks, who are justifiably proud of our long and continuing role as a haven for minorities (including the Jews evicted from Spain by the Inquisition), it is particularly disquieting to find our own history distorted in works devoted to the Holocaust of World War II. To compare a tragic civil war (perpetrated by misguided Armenian nationalists) and the human suffering it wrought on both the Muslim and Christian populations, with the horrors of of a premeditated attempt to systematically eradicate a people, is, to anyone familiar with the history in question, simply ludicrous. I am enclosing copies of works by two American experts on the history of Turco-Armenian relations, Professors Justin McCarthy and Heath Lowry, and would hope that in the interests of objectivity and fairness you will not only read them, but reflect having done so in any future works you may publish. Draft of letter to Dr. Robert Jay Lifton, prepared by Dr. Heath Lowry, to be signed by Ambassador Nuzhet Kandemir. 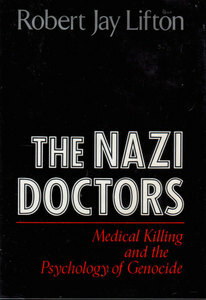 Your 1986 publication, The Nazi Doctors: Medical Killing and the Psychology of Genocide, was recently brought to my attention. Needless to say, I was shocked by references in your work, (pp. xii., 466–7, 470, 473, 476, 488, and 493) to the so-called “Armenian genocide,” allegedly perpetrated by the Ottoman Turks during the First World War. I was even more disturbed when your citations revealed that your sources consisted of articles and books by three individuals: Vahakn N. Dadrian, Helen Fein and Leo Kuper, none of whom are historians of the period in question and none of whom rely on primary research in their own works. In short, you have simply passed along questionable secondary sources as evidence for a number of contentions which are, to say the least, hotly debated among contemporary scholars writing on the period and events at issue. It is particularly disturbing to see a major scholar on the Holocaust, a tragedy whose enormity and barbarity must never be forgotten, so careless in his references to a field outside his area of expertise. For Turks, who are justifiably proud of our long and continuing role as a haven for minorities (including the Jews evicted from Spain by the Inquisition), it is particularly disquieting to find our own history distorted in works devoted to the Holocaust of World War II. To compare a tragic civil war (initiated by Armenian nationalists) and the human suffering it wrought on both the Muslim and Christian populations with the horrors of a premeditated attempt to systematically eradicate a peaceable people, is, to anyone familiar with the history in question, simply ludicrous. I am enclosing copies of works by two American experts on the history of Turco-Armenian relations, Professors Justin McCarthy and Heath Lowry, and would hope that in the interests of objectivity and fairness you will not only read them but also reflect having done so in any future works you may publish. Letter from Ambassador Nuzhet Kandemir to Robert Jay Lifton, October 2, 1990. Terrence Des Pres, “Introduction: Remembering Armenia,” in Richard G. Hovannisian, ed., The Armenian Genocide in Perspective (New Brunswick, NJ, Transaction Books, 1986), p. 10. On scholarship as commitment to power, see Terrence Des Pres, “On Governing Narratives: The Turkish-Armenian Case,” Yale Review, 75.4 (October 1986), pp. 517-531. I found myself sitting at one end of an enormous table in the embassy of Turkey. At the other end was the ambassador himself and what he was telling me was that the crime I had always thought had happened, simply had not. . . . What the world persisted in calling a genocide was actually a civil war—one with atrocities on both sides and one in which the central government in Constantinople lost control of its own troops and could not protect the Armenians. There never was a policy to exterminate the Armenians. Cohen, who thought that “the genocide was a given—that no one could possibly dispute that it had happened,” was thrown into turmoil by the ambassador’s claims, and now found that the ambassador had “dented his confidence.” The problem of denial had now included Cohen. “And so year by year, person by person, the genocide blurs, doubt corrodes it, and the easy word, ‘alleged,’ creeps in to mock the Armenian anguish. The goal of such denial, he believed, was not so much the rewriting of the past as such, but the control of the present and the future. He concluded his article with the observation that perhaps the “last victim of any genocide is truth.” Richard Cohen, “Killing Truth,” The Washington Post, 31 May 1983, p. B1. Vahakn N. Dadrian, “A Textual Analysis of the Key Indictment of the Turkish Military Tribunal Investigating the Armenian Genocide,” Armenian Review, 44.1 (Spring 1991), pp. 26–27. Vahakn N. Dadrian, “The Documentation of the World War I Armenian Massacres in the Proceedings of the Turkish Military Tribunal,” International Journal of Middle East Studies, 23.4 (November 1991), p. 560. Henry Morgenthau, Ambassador Morgenthau’s Story (Garden City, NY: Doubleday, Page; 1918), p. 309. Dadrian, “The Documentation,” p. 568. Here we can cite only a few of the many works that document the Armenian genocide. Among the contemporary accounts, see: Leslie Davis, The Slaughterhouse Province: An Ameri­can Diplomat’s Report on the Armenian Genocide, 1915–1917 (New Rochelle, NY: Aristide D. Caratzas, Publisher, 1989); Henry Morgenthau, Ambassador Morgenthau’s Story (Garden City, NY: Doubleday, Page; 1918); and Arnold J. Toynbee, ed., The Treatment of the Armenians in the Ottoman Empire: Documents Presented to Viscount Grey of Fallodon, Secretary of State for Foreign Affairs (London: Hodder and Stoughton, 1916). The Armenian Genocide in the U.S. Archives, 1915–1918 (Alexandria, VA: Chadwyck-Healey, Inc., 1990) provides 37,000 pages of documentation in microfiche. For recent studies, see three articles by Vahakn N. Dadrian, “The Secret Young-Turk Ittihadist Conference and the Decision for the World War I Genocide of the Armenians,” Holocaust and Genocide Studies, 7:2 (Fall 1993), pp. 173–201; “The Documentation of the World War I Armenian Massacres in the Proceedings of the Turkish Military Tribunal,” International Journal of Middle East Studies, 23.4 (November 1991), pp. 549–576; and “Documentation of the Armenian Genocide in Turkish Sources,” in Israel W. Charny, ed., Genocide: A Critical Bibliographic Review (London: Mansell Publishing, New York. Facts on File, 1991), Vol. 2, Ch. 4; Tessa Hofmann and Gerayer Koutcharian, “‘Images that Horrify and Indict’: Pictorial Documents on the Persecution and Extermination of the Armenians from 1877 to 1922,” Armenian Review, 45:1–2 (Springg/Summer 1992), pp. 53–184; Robert Melson, Revolution and Genocide: On the Origins of the Armenian Genocide and the Holocaust (Chicago: University of Chicago Press, 1992); and Donald E. Miller and Lorna Touryan Miller, Survivors: An Oral History of the Armenian Genocide (Berkeley: University of California Press, 1993). For an extensive bibliography on the Armenian genocide, see Richard G. Hovannisian, The Armenian Holocaust: A Bibliography Relating to the Deportations, Massacres, and Dispersion of the Armenian People, 1915–1923 (Cambridge, MA: Armenian Heritage Press, 1980). On the availability of survivor testimony in the form of oral history, see Miller and Miller, pp. 212–213. Most of the oral histories are in Armenian and have not been translated, on the other hand, many survivor memoirs exist in English: among the more detailed are Abraham H. Hartunian, Neither to Laugh nor to Weep: A Memoir of the Armenian Genocide (Boston: Beacon Press, 1968) and Ephraim K. Jernazian, Judgement Unto Truth: Witnessing the Armenian Genocide (New Brunswick, NJ: Transaction Books, 1990). There is a substantial literature on denial of the Armenian genocide. See, Rouben Adalian, “The Armenian Genocide: Revisionism and Denial,” in Michael N. Dobkowski and Isidor Wallimann, eds., Genocide in Our Time: An Annotated Bibliography with Analytical Introductions (Ann Arbor, MI: Pierian Press, 1992), Ch. 5, Marjorie Housepian Dobkin, “What Genocide? What Holocaust? News from Turkey, 1915–1923: A Case Study,” in Hovannisian, ed., The Armenian Genocide in Perspective, Ch. 5; Richard G. Hovannisian, “The Armenian Genocide and Patterns of Denial,” in Hovannisian, ed., The Armenian Genocide in Perspective, Ch. 6; Clive Foss, “The Turkish View of Armenian History: A Vanishing Nation,” in Richard G. Hovannisian, ed., The Armenian Genocide: History, Politics, Ethics (New York: St. Martin’s Press, 1992), Ch 11; Vahakn N. Dadrian, “Ottoman Archives and Denial of the Armenian Genocide,” in Hovannisian, ed., The Armenian Genocide, Ch. 12; Vigen Guroian, “The Politics and Morality of Genocide,” in Hovannisian, ed., The Armenian Genocide, Ch. 13; and the following articles by Roger W. Smith, “Genocide and Denial: The Armenian Case and Its Implications,” Armenian Review, 42.1 (Sprig 1989), pp. 1–38; “Denial of the Armenian Genocide,” in Charny, ed., Genocide, Vol. 2, Ch. 3, and “The Armenian Genocide: Memory, Politics, and the Future,” in Hovannisian, ed., Armenian Genocide, Ch. 1. See also the wide-ranging discussion by Israel W, Charny, “The Psychology of Denial of Known Genocides,” in Charny, ed., Genocide, Vol. 2, Ch. 1. See, for example, Hovannisian, “The Armenian Genocide and Patterns of Denial,” in Hovannisian, ed., The Armenian Genocide in Perspective, pp. 115–131; and Roger W. Smith, “Genocide and Denial,” pp. 15–20. Edward Minasian, “Musa Dagh: The Film That Was Denied,” Journal of Armenian Studies, 11.2 (Fall/Winter 1985–86), pp. 63–73, Hovannisian, “Patterns of Denial,” pp. 120–21. Hovannisian, “Patterns of Denial,” pp. 113–14, 124–27, 129–30. Leo Kuper, Genocide: Its Political Use in the Twentieth Century (New Haven, CT: Yale University Press, 1981), pp. 219–20; Smith, “Genocide and Denial,” pp. 22–23. Leo Kuper, “Problems in Education on Genocide,” Internet on the Holocaust and Geno­cide, 14, (Feb. 1988), Special Supplement, p. 1. Israel W. Charny and Shamai Davidson, eds., The Book of the International Conference on the Holocaust and Genocide: Book 1, The Conference Program and Crisis (Tel Aviv Institute of the International Conference on the Holocaust and Genocide, 1983), pp. 269–315, and Israel W. Charny, ed., Toward the Understanding and Prevention of Genocide (Boulder, Colorado and London: Westview Press, 1984), pp. 364–372. New York Times, 22 June 1982, p. A4. Our description of the Institute of Turkish Studies, Inc. is drawn from the following sources: “The Institute of Turkish Studies, Inc.,” a brochure published in Washington, DC, by the Institute, not dated, but includes the Director’s Report for 1983–84; Report of the Institute of Turkish Studies, Inc., 1982–1992 (Washington, DC: Institute of Turkish Studies, Inc., 1992); Encyclopedia of Associations, 26th ed–1992 (Detroit and London: Gale Research, Inc., 1991), 1 1133; Stan Olson, ed., The Foundation Directory 1992 Edition (New York: The Foundation Center, 1992), p. 228; William Wade, ed., National Directory of Nonprofit Organizations, 1991, Volume 1: Organizations with Revenues of $100,000 or More, Part 1 A–O; (Rockville, MD: The Taft Group, 1991), pp. ix, 1078; and Speros Vryonis, Jr., The Turkish State and History: Clio Meets the Grey Wolf, 2nd ed. (Thessaloniki and New Rochelle, NY: Institute for Balkan Studies and Aristide D. Caratzas, Publisher, 1993), Part 3. We are grateful to Dr. Rouben Adalian for making a copy of the brochure published by the Institute of Turkish Studies available to us. “The Institute of Turkish Studies, Inc.,” p. 11. Smith, “Denial of the Armenian Genocide,” in Charny, ed., Genocide, 2.83. In his most recent work, Turkey and the Holocaust: Turkey’s Role in Rescuing Turkish and European Jewry from Nazi Persecution, 1933–1945 (New York: New York University Press, 1993), pp. 22, 27, Shaw accuses some Armenians residing in Turkey during World War II of being pro-Nazi and antisemitic. See the devastating review of Shaw’s book by Bernard Wasserstein in the Times Literary Supplement, 7 January 1994, pp. 4–6. Report of the Institute of Turkish Studies, Inc., 1982–1992, pp. xi–xii. The next chair in Turkish studies will be in the School of Foreign Service at Georgetown University in Washington, DC. The Turkish government will contribute $1.5 million toward establishing the professorship. See Georgetown Magazine, Spring/Summer 1994, p. 12. Isidor Wallimann and Michael N. Dobkowski, ed., Genocide and the Modern Age (West­port, CT, and London: Greenwood Press, 1987). Heath W. Lowry, “The U.S. Congress and Adolf Hitler on the Armenians,” Political Communication and Persuasion, 3:2 (1985), pp. 111–140. For a thorough discussion of the Hitler remark, and its authenticity, see Kevork B. Bardakjian, Hitler and the Armenians (Cambridge, MA: Zoryan Institute, 1985). The remark attributed to Hitler is contained in a summary of Hitler’s speech to his generals about his plans to wage a ruthless war against Poland on August 22, 1939. Within days, Louis P. Lochner of the Associated Press in Berlin received from an “informant” a copy of the document, which is based on notes taken by Admiral Wilhelm Canaris, head of Hitler‘s military intelligence. Lochner immediately brought the account to the attention of the American and British embassies. He subsequently published the document in translation in his book What About Germany? (New York: Dodd, Mead & Co., 1942), pp. 1–4. The important issue is less the authenticity of the remark than what lessons Hitler drew from the Armenian case, and how these affected his actions in Poland, and subsequently the decisions to annihilate the Jews and Gypsies. Bardakjian provides evidence (pp. 25–35) that Hitler was familiar with the Armenian genocide, believed that the Armenians, like the Jews, were a “degenerate race,” and was aware that Turkey had been able to exterminate a people with impunity. The lessons he drew were even more pointed in his 1931 interview with Richard Breiting of the Leipziger Neueste Nachrichten. Here he invoked the destruction of the Armenians within a context of deportation, resettlement, and massacre as a means to providing “living space” for Germany and the Aryan race. “Think of the biblical deportations and the massa­cres of the Middle Ages … and remember the extermination of the Armenians.” Hitler added: “One eventually reaches the conclusion that masses of men are mere biological plasticine.” Quoted in Bardakjian, p. 28, from Edouard Calic, Unmasked, trans. Richard Barry (London: Chatto & Windus, 1971), p. 81. Heath W. Lowry, The Story Behind Ambassador Morgenthau’s Story (Istanbul: The Isis Press, 1900), p. 60. Ibid., pp. 49–50. Lowry has also written “op-ed” articles in an attempt to defeat Congressional resolutions that would officially recognize the Armenian genocide. A good example of this appears in the Wall Street Journal, 15 November 1989, p. A26. Smith, “Genocide and Denial,” pp. 6–9; Deborah E. Lipstadt, “Deniers, Relativists, and Pseudo-scholarship,” Dimensions, 6.1 (1991), p. 7; and Israel W. Charny, “The Psychology of Denial of Known Genocides,” in Charny, ed., Genocide, 2 13–15. Vahakn N. Dadrian, “Ottoman Archives and Denial of the Armenian Genocide,” in Hovannisian, ed., The Armenian Genocide, pp. 283–86 An excellent example of denial through the means to which Dadrian refers is contained in Stanford J. Shaw and Ezel Kural Shaw, “The Authors Respond,” International Journal of Middle East Studies, 9.3 (1978), pp. 399–400. Richard G. Hovannisian, “The Armenian Genocide and Patterns of Denial,” in Hovannisian, ed., The Armenian Genocide in Perspective, pp. 128–29, and Smith, “Genocide and Denial,” pp. 16–18. Richard G. Hovannisian lists many of the common features in his study, “The Historical Dimensions of the Armenian Question, 1878–1923,” in Hovannisian, ed., The Armenian Genocide in Perspective, p. 30. Melson’s book, published by the University of Chicago Press in 1992, provides a sustained analysis of the similarities between the two genocides, which he describes as “total genocides,” born of revolution and war. But, like others, he suggests there are also some differences. See, in particular, chapter 8 of his book. Yehuda Bauer, “Essay On the Place of the Holocaust in History,” Holocaust and Genocide Studies, 2:2 (1987), p. 217. Lucy Davidowicz, The Holocaust and the Historians (Cambridge, MA: Harvard University Press, 1981), p. 20. For a survey of the roles of several professions in the Holocaust and other cases of genocidal killing, see Eric Markusen, “Professions, Professionals, and Genocide,” in Charny, ed., Genocide, 2 264–98. With few exceptions, studies of the role of specific professions in genocide focus on the Holocaust, but see the path-breaking article by Vahakn N. Dadrian, “The Role of Turkish physicians in the World War I Genocide of the Ottoman Armenians,” Holocaust and Genocide Studies, 1.2 (1986), pp. 169–92. On the involvement of various professions in the Holocaust, see, among others, Omer Bartov, The Eastern Front, 1941–45: German Troops and the Barbarisation of Warfare (New York: St. Martin’s Press, 1986) and Hitler’s Army: Soldiers, Nazis, and War in the Third Reich (New York: Oxford University Press, 1991), Alan D. Beyerchen, Scientists Under Hitler: Politics and the Physics Community in the Third Reich (New Haven, CT: Yale University Press, 1977), Christopher R. Browning, The Final Solution and the German Foreign Office: A Study of Referat III of Abteilung Deutschland, 1940–1943 (New York: Holmes & Meier, 1977) and “Genocide and Public Health: German Doctors and Polish Jews, 1939–41,” Holocaust and Genocide Studies, 3:1 (1988), pp. 21–36; Michael H. Kater, Doctors Under Hitler (Chapel Hill: University of North Carolina Press, 1989); Peter Hayes, Industry and Ideology: I. G. Farben in the Nazi Era (New York and Cambridge: Cambridge University Press, 1987), Herbert Hirsch, “Nazi Education: A Case of Political Socialization,” Educational Forum, 53:1 (1988), pp. 63–76, Robert Jay Lifton, The Nazi Doctors: Medical Killing and the Psychology of Genocide (New York: Basic Books, 1986); Ingo Müller, Hitler’s Justice: The Courts of the Third Reich, trans., Deborah Lucas Schneider (Cambridge, MA: Harvard University Press, 1991), Benno Müller-Hill, Murderous Science: Elimination by Scientific Selection of Jews, Gypsies, and Others, Germany 1933–1945 (New York and Oxford: Oxford University Press, 1988), Robert Proctor, Racial Hygiene: Medicine Under the Nazis (Cambridge, MA: Harvard University Press, 1988), Gunter W. Remmling, “Discrimination, Persecution, Theft, and Murder Under Color of Law: The Totalitarian Corruption of the German Legal System, 1933–1945,” in Isidor Wallimann and Michael N. Dobkowski, eds., Genocide and the Modern Age. Etiology and Case Studies of Mass Death (Westport, CT, and London: Greenwood Press, 1987), Ch. 10; Telford Taylor, “The Legal Profession,” in Henry Friedlander and Sybil Milton, eds., The Holocaust Ideology, Bureaucracy, and Genocide (Mill­wood, NY: Kraus International Publications, 1980), pp. 133–140; and Max Weinreich, Hitler’s Professors: The Part of Scholarship in Germany’s Crimes Against the Jewish People (New York: YIVO Institute for Jewish Research, 1946). Israel W. Charny, “The Psychology of Denial of Known Genocides,” in Charny, ed., Genocide, 2.23. Deborah E. Lipstadt, Denying the Holocaust: The Growing Assault on Truth and Memory (New York: The Free Press, 1993), p. 217. Israel W. Charny, ”The Psychology of Denial of Known Genocides,” in Charny, ed., Genocide, 2.22. See, for example, Levan Boyajian and Haigaz Grigorian, “Psychological Sequelae of the Armenian Genocide,” in Hovannisian, ed., The Armenian Genocide in Perspective, Ch. 10, and Miller, Survivors: An Oral History of the Armenian Genocide, Ch. 8. Erich Kulka, “Denial of the Holocaust,” in Charny, ed., Genocide, 2.57. Pierre Vidal-Naquet, Assassins of Memory: Essays on the Denial of the Holocaust (New York: Columbia University Press, 1992), p. 57. Deborah E. Lipstadt, Denying the Holocaust, p. 206. Israel W. Charny and Daphna Fromer, “A Follow-up of the Sixty-Nine Scholars Who Signed an Advertisement Questioning the Armenian Genocide,” Internet on the Holocaust and Genocide, Special Double Issue 25/26 (April 1990), pp. 6–7. Hannah Arendt, Eichmann in Jerusalem. A Report on the Banality of Evil, revised and enlarged edition (New York: The Viking Press, 1964), pp. 49, 278–88. Hannah Arendt, The Human Condition (Chicago: University of Chicago Press, 1958), pp. 239–40. This piece was originally published in Holocaust and Genocide Studies, Vol. 9, No. 1 (Spring 1995).